The Delphia 40.3 is a classic True Yacht. With excellent nautical properties and unquestionable seaworthiness, the Delphia 40.3 is designed for the most demanding and challenging of waters. Constructed using YSI (Yacht Structural Integrity) and LIM (Laminate Infusion Method) technologies with utmost attention to structural integrity and safety, the Delphia 40.3 was the vessel of choice for the 2011 and 2012 non-stop solo circumnavigation voyages by Polish captain, Tomasz Cichocki. 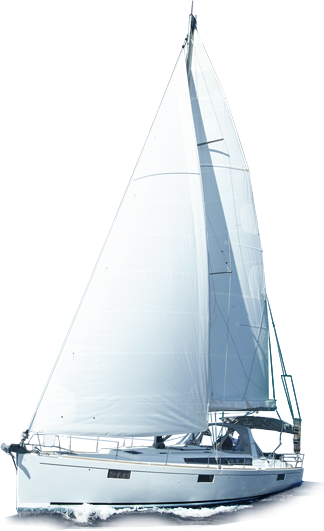 The Delphia 40.3 is a prime example of an integrated structure featuring stay adjusters incorporated within the hull making the vessel capable of meeting any challenge that ocean sailing may present. Perfectly balanced and ergonomic, the Delphia 40.3 is highly functional with its spacious cockpit and bathing platform. Thanks to five keel options, two to four bedrooms and various options to complement the entry-level trim, the Delphia 40.3 an excellent choice for charter, private or training purposes. The wide range of the interior solutions give the owner a good choice while optimizing this yacht. Classic and roomy saloon offers a big table for all the crew. Solid craftmenship and extraordinary ergonomic solutions make the Delphia 40.3 an excellent choice for the people who cares about practical aspect of the vessel. This model is available with single or twin helm wheels and can accommodate future customisation dependent on the needs of the owner.